Join other young professionals from the Seattle area on a journey to the Near East! On Inside Jewish Georgia, you will be immersed in a fascinating region characterized by cultural, linguistic, and religious diversity, as well as learn about Jewish renewal in a post-communist society. Experience the region’s unique culture through its cuisine, dance, and architecture. Travel the countryside, participate in wine tastings, and visit medieval castles and monasteries. Visit an Azari Bazar to see local artisans in their traditional work. Learn about the history of communism in the region with a visit to the Stalin Museum. 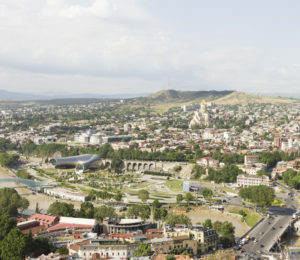 Explore and tour the Jewish communities of Tbilisi & Gori. Participate in home visits with elderly community members to learn about JDC’s Hesed welfare model. Lead activities for children, teens, and parents served by JDC-supported Jewish Family Service.